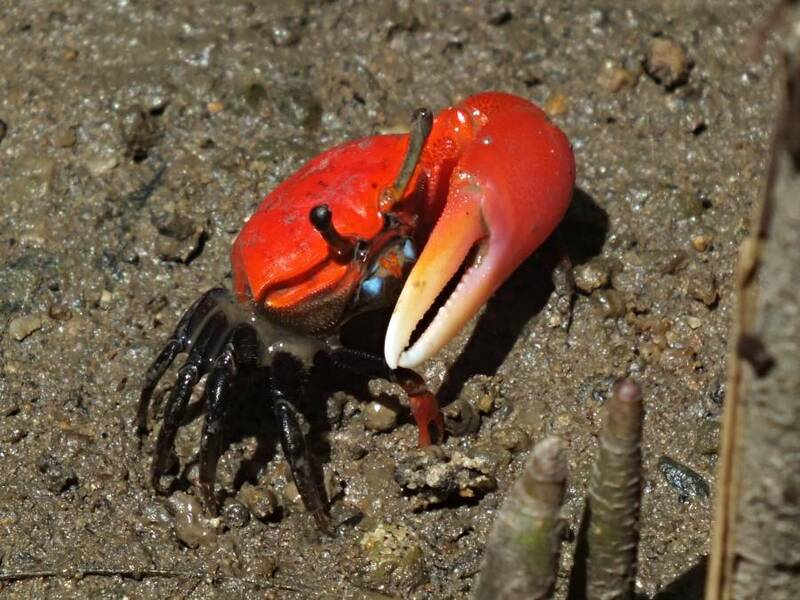 You would think that a creature that is this bright would be hard to miss, however I officially put it on the list of Australian fiddler crab species in February 2014. I have know of the species for more than 20 years and so have others. It is just that no one identified it and made an official recording. 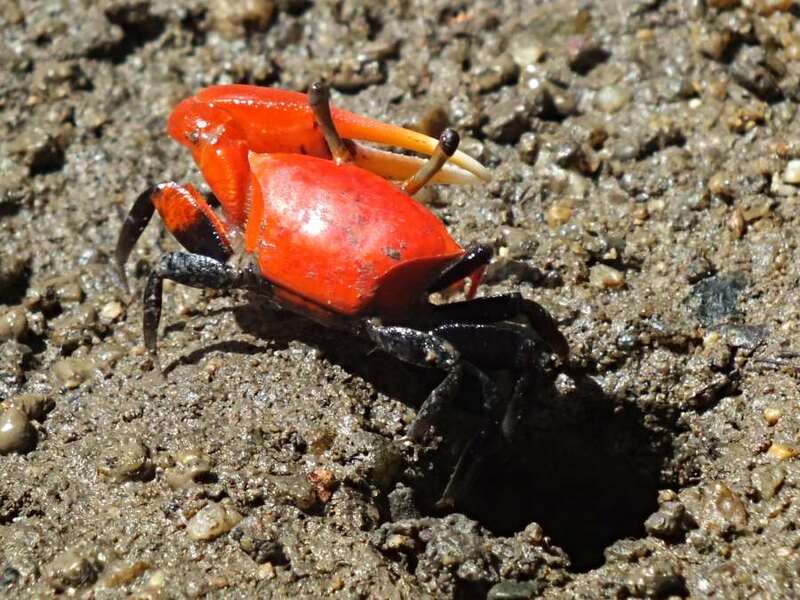 There are other animals out there that similarly are not yet recorded (I found another fiddler that is not recorded only yesterday), so get out there and look. Back of the same Uca crassipes male. copyright Andrew Mitchell. Picture Window theme. Powered by Blogger.